But take heart, readers. 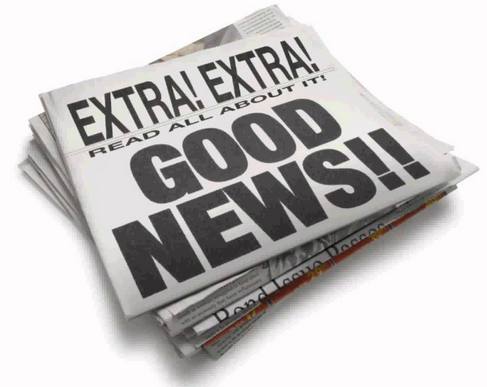 because there is and always will be Good News! The Bible is truth! It is the only infallible, authoritative and sufficient Word of God, all truth, breathed out by the Holy Spirit. We believe in the deity of our Lord Jesus Christ, in His virgin birth, His sinless life, His substitutionary atoning death through His shed blood; in His bodily resurrection, His ascension to the right hand of the Father, His visible, personal return in power and glory. We believe in the Holy Spirit, the third Person of the Trinity, who came forth to convict the world of sin, righteousness and judgment and to regenerate, sanctify, seal, and empower for ministry, service and witness all who believe in Christ. We believe the Holy Spirit indwells every believer in Jesus Christ from the moment of salvation, and that He is our abiding Helper, Teacher and Guide in glorifying the Lord Jesus Christ and transforming believers into the image of Christ. We believe that all people are sinners by nature and choice, and therefore are under condemnation, and that God regenerates by the Holy Spirit those who confess Jesus Christ as their Lord and Savior. Repentant, regenerated sinners are forgiven by Grace Alone not by works but through Faith, and are free from the penalty of sin. We believe that every person outside of Christ’s redemption is utterly guilty and corrupt before a Holy God. We believe in the present ministry of the Holy Spirit by whose indwelling the Christian is enabled to live a godly life. We believe in the bodily resurrection of both the saved and the unsaved; the final judgment and eternal blessing of the righteous and the endless suffering of the wicked. We believe in the spiritual unity of all true believers in our biblical Lord Jesus Christ, called the Body of Christ. We believe God created the entire universe “out of nothing” and man from the dust of the earth to be a special creature bearing His image.